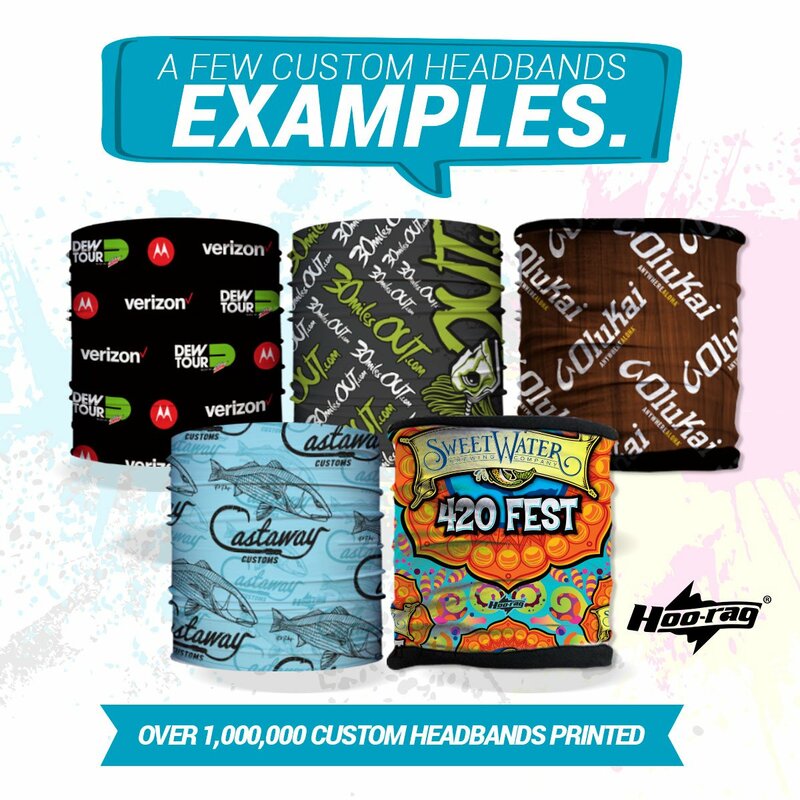 Hoo-rags are the perfect multi-purpose promotional headband for your organization or business! We make it easy for you to put your logo on our headband. Minimum order of our headbands is just 24 units and pricing can be as low as $2.00 each. 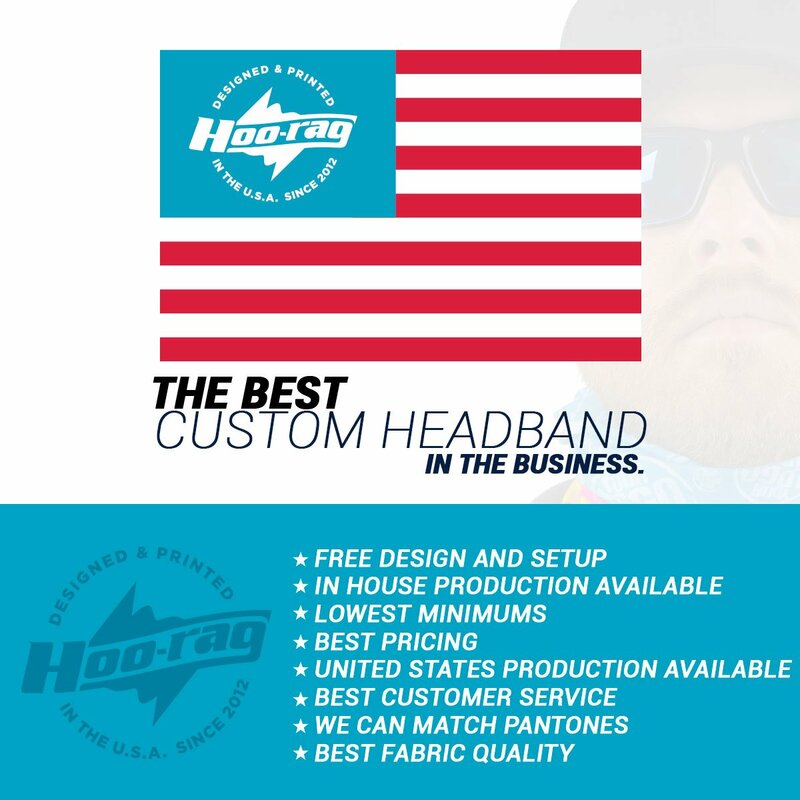 For our fleece lined bandana, the minimum order is 300 units and pricing can be as low as $4.00. 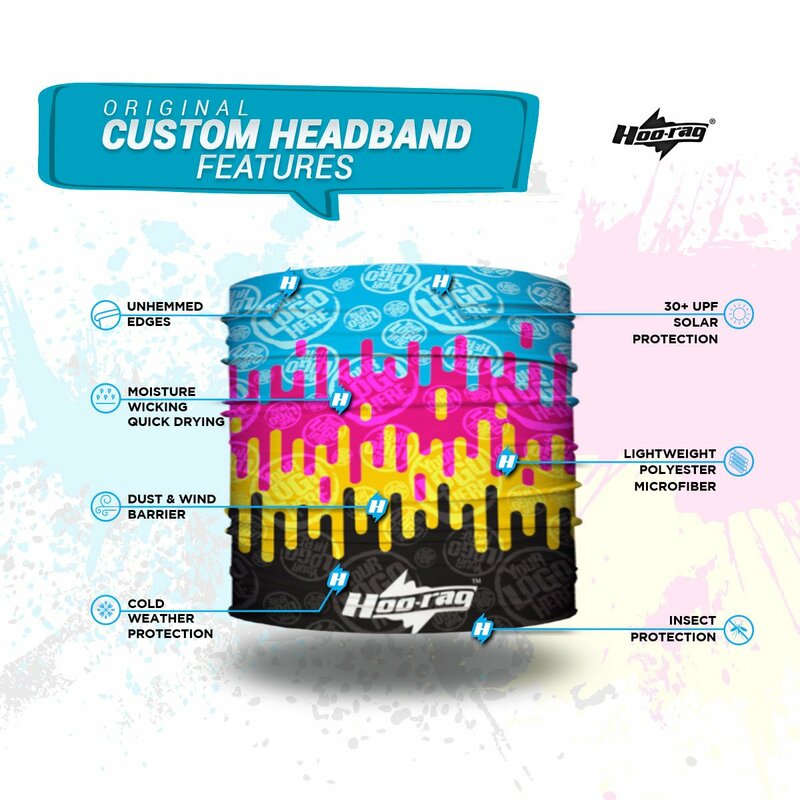 Design is free and setup is free for designs 4 colors or less. 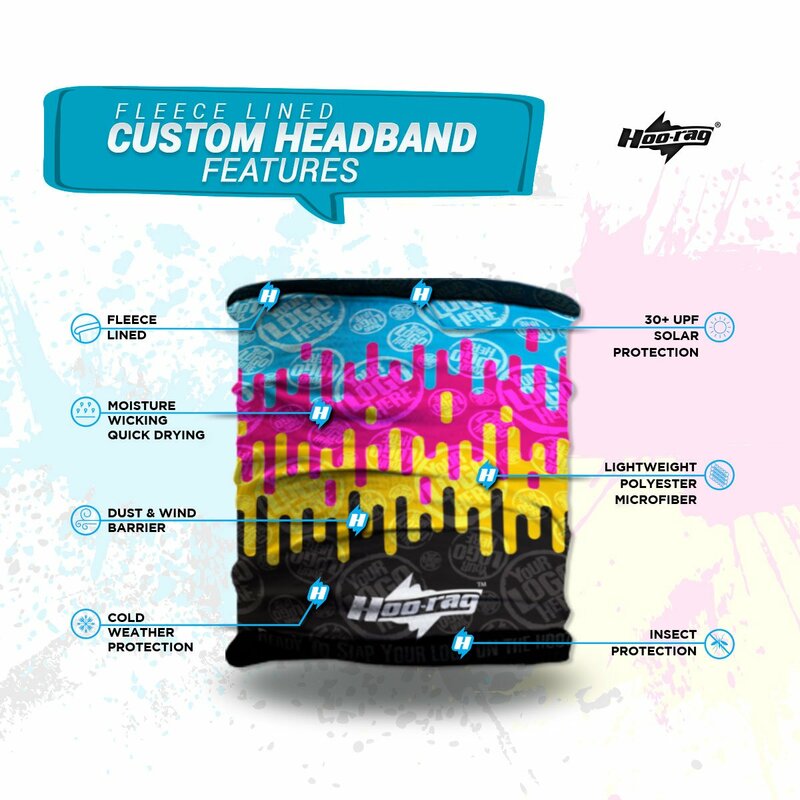 The bandanas are made of 100% polyester microfiber and perfect for both men & women. Or for only .99 cents we’ll send you out a complete package of all of our materials. Click add to cart below to order. Super happy to work with you. Will be in contact soon for more! Easy to deal with and super professional. Y’all are super easy to deal with and helpful with ensuring quality and design is perfect and I was happy with it before proceeding. 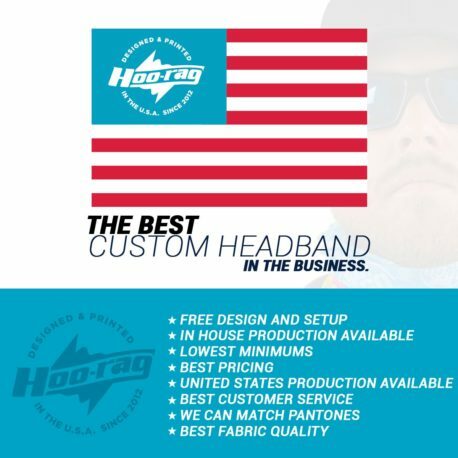 Ordering from Hoo-rag was a very enjoyable experience and will be doing it again and recommend you to my friends and coworkers. 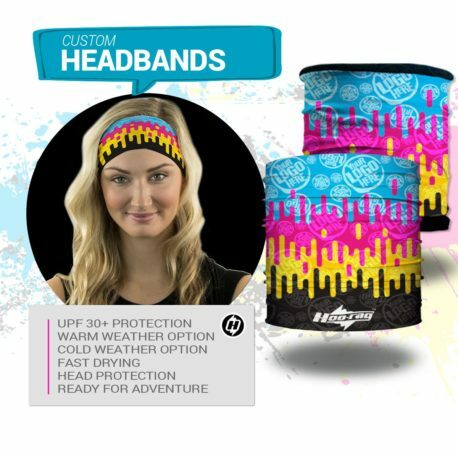 I’m very happy with the quality of the headbands. The printing was spot on, and the packaging was great. And Hoo-rag is super easy to work with.